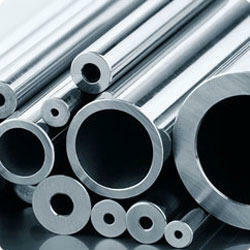 Our range of products include alloy 20 pipe. Our company is engaged in providing a broad series of Alloy 20 Pipe. Experts manufacture this product as per industry norms utilizing the finest quality material and advanced techniques. To preserve the quality, quality inspectors also examine the quality of this product on universal industry standards. Our patrons can avail this product in varied specifications and nominal costs.